Solvesborg Shipping Agency Ltd (AB Sölvesborgs Skeppsmäkleri- & Speditionskontor) is a subsidiary completely owned by port of Solvesborg (Sölvesborgs Stuveri & Hamn AB). The company was established in 1906. 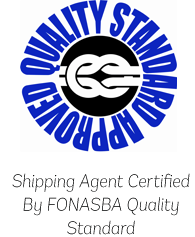 We act as shipbrokers, chartering and line agents, ships clearance and forwarders. We offer our services 24 hours a day, 365 days a year. The Swedish Customs and the Swedish Maritime Administration. We also take care of the contacts with the shipping company, the port and the stevedoring company, as well as with the owner of the goods. As your customs agent we help you with consignments, customs clearance and export notifications. We have the necessary permits and apply electronic declaration via TID. Our brand means first-class and reliable service. We look forward to being at your service!